After the initial scene's action the story slowed down quite a bit till the scene in the graveyard where they dance on the graves. But once that scene was done the movie definitely picked up! I feel that this is a very good ghost story. I wouldn't say the best I ever seen... but definitely enjoyable... one that I feel comfortable recommending to any horror fan. There was even a couple things that I really didn't see coming... which is always a good thing! Going by this movie... and the trailers for the other movies in this series I am really looking forward to watching the rest of the titles in this series! "Rent" The Good The Bad and The Ugly? "Rent"? Are you mad? No such warning on Saw II! I didn't even read them... I just copied and pasted them. I am done now anyway... most of them I reviewed again here... so didn't need to bring them over! Just bringing this thread back to life so it is easier to find this weekend. From the Director of The Nightmare Before Christmas comes a visually stunning stop-motion animated feature — the first to be originally filmed in 3-D! Coraline Jones is bored in her new home until she finds a secret door that leads her into a world that's just like her own...but better! But when this fantastical adventure turns dangerous and her "other" Mother tries to keep her forever, Coraline must count on her resourcefulness and bravery to get home. Critics are hailing Coraline as "a remarkable feat of the imagination" (Kenneth Turan, Los Angeles Times). Brittany and I watched this one this evening. This one is hard to review and describe. I enjoyed the movie... but it is on the weird and strange side. It really is a pretty dark and twisted story. I don't mean that as a bad thing though. The animation is very well done. The characters are well done. Definitely an entertaining watch. I bought this movie because of a friend's recommendation. It really isn't my normal type of movie. Besides... I seen the trailer and had some serious concerns if nothing more then from the way Johnny Depp played this character. It seemed silly and way over the top. After watching it I must say that the way Johnny Depp portrayed Willy Wonka was a bit annoying at first... but it quickly grew on me. I found this movie to be pretty fun and entertaining. Though there is still a bit more music then I would have liked... and that did take away from it a little for me. But I am definitely not sorry I got it. I have seen the remake of Charlie and the Chocolate Factory, but much prefer the original. I think Johnny Depp's Wonka is a bit too crazy and at some points kinda evil for my taste. John Malkovich and Academy Award® nominee Willem Dafoe star in a riveting suspense thriller about an obsessive director who's so consumed with making the most realistic vampire movie ever, he's willing to sacrifice everything – and everyone – to achieve his vision! In his quest to create a vampire film to die for, F.W. Murnau (Malkovich) hires the mysterious Max Schreck (Dafoe) to play Count Orlock in his masterpiece, Nosferatu. Murnau introduces Schreck as "the ultimate method actor" – one who will appear only in character, in full makeup and only at night. But as the cast and crew begin to disappear, it appears that Murnau has made a devil's bargain with Schreck. 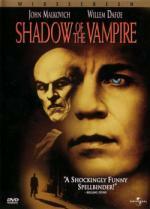 With luminous performances and biting humor, Shadow of the Vampire holds you in its icy grip from start to finish. This is a movie a good friend sent me from her collection when she realized she had 2 copies of it. I know I seen this one before... but it was so long ago I really couldn't remember it. Well... it is definitely different then what I was remembering.I wouldn't say I didn't like it... but it is definitely a different kind of film. Willem DeFoe did a wonderful job in his role as Schreck. The movie is really slow paced... but it pretty much has to be for the movie they were making. Over-all I enjoyed it. But it isn't a movie I see myself watching too often... not your typical vampire movie. I woke first this this morning wanting to watch this movie again. Another one I really enjoyed. 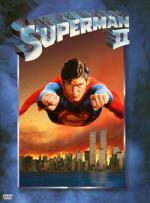 Christopher Reeve and Margot Kidder do a good job reprising their roles. I also liked the 3 Kryptonian criminals. I thought it was a great idea to make Superman face someone (or a small group as it is) as strong as he is. Even though I understand why they had to do it for the storyline... I never cared much for when Superman gave up his powers to be with Lois. The movie was almost boring in those scenes. But of course it really picked up afterward... and I really enjoyed the fight between Superman and the Kryptonian criminals. Over-all it is a great movie.